It thrills us when we meet up with clients that are really making a difference in their industries. Pearlbridge is a real estate consultancy firm that is leaving no stones unturned. After the briefing meeting with the director, we knew we were willing to put our full weight behind the brand. It was time to elevate it and a professional brand message was necessary to back this up. We strategised, designed, and critiqued together until we were sure we were bold enough to go public. 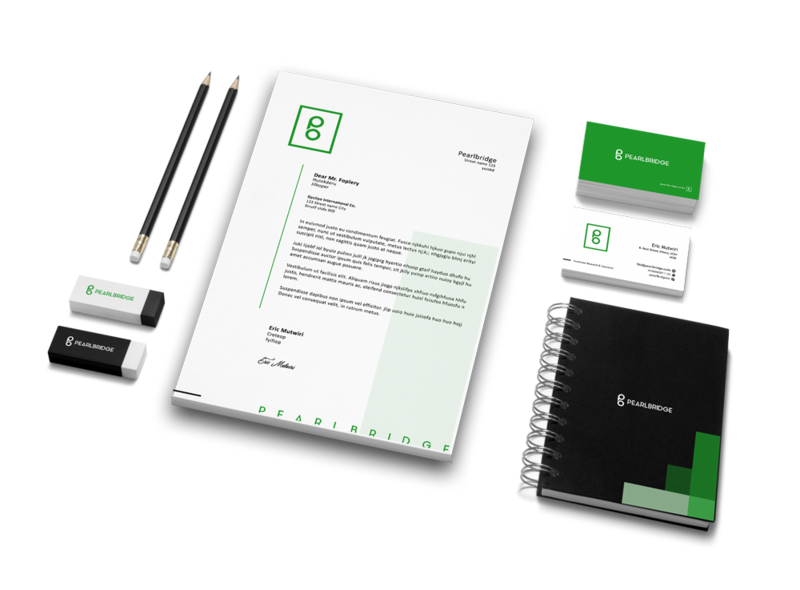 We launched a stellar brand identity, backed up with some powerful and consistent brand messaging. We love what we see! We pulled together a unique working logo infused with simplicity and professionalism, and then integrated this into all things messaging that the brand would use to represent itself.